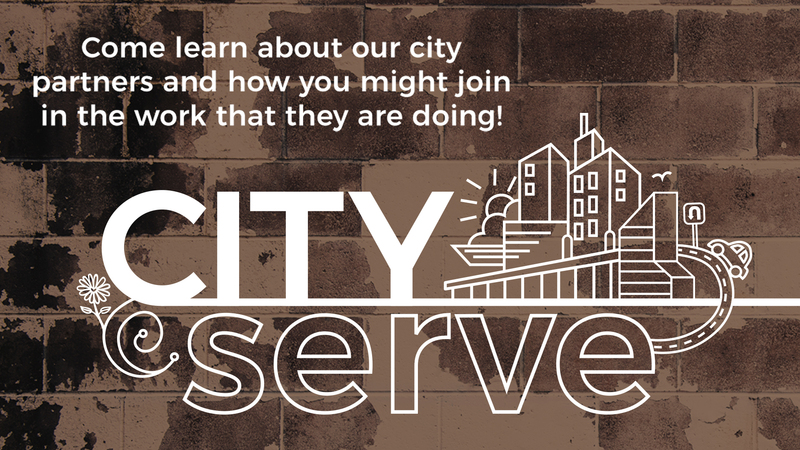 CityServe is a way for individuals, families, and life groups to have a simple way to connect with the vision of city partnership. We will have a brief time of sharing Grace’s vision on why serving in the city matters, how Grace partners, and who we partner with. There will be plenty of time to learn about our partners and how you might join in the work that they are doing. You will be able to leave CityServe with information to take to your life group or the ability to take the next steps in serving.